Do not speak to the bosses unless spoken to. Do not make eye contact unless you want to die. And above all else, do not fall in love. Renee Cassani's future is set. Her betrothal is set. Her life, after nannying for the five families for the summer, is set. Somebody should have told Vic Colezan that. He's a man who doesn't take no for an answer. And he only wants one thing. Her. 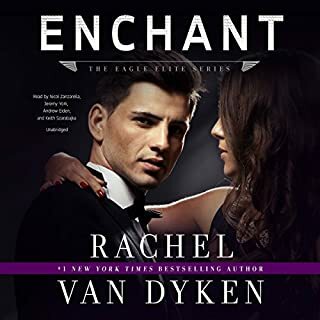 ©2018 Rachel Van Dyken (P)2018 Audible, Inc. 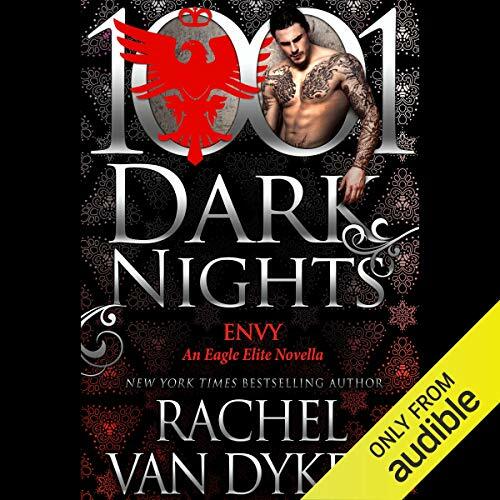 I'm a fan of Eagle Elite and I enjoyed this novella. However, I'm disappointed that Scarlet Chase was cast AGAIN. I love her as a narrator (Blacktop Cowboys series is phenomenal), but she definitely has a "mature" voice which doesn't fit with the 19-24yo characters she keeps narrating. Additionally, one of the things that I've loved about this series is that each character has his/her own voice throughout the series because the narrators changed depending on the POV. 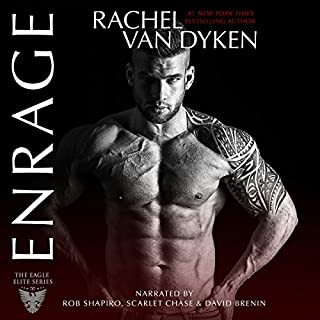 However, Scarlet Chase has been the female lead for Enrage, Eulogy, & Envy and David Benin has been the lead in Eulogy & Envy as well as narrating a DIFFERENT character in Enrage. I'll keep pre-ordering the e-books, but I'm losing faith in the audiobooks. This storyline was cute but not something that could be attributed to the Mafia. It ended abruptly and the secrecy surrounding the heroine was really not a secret! The narrators were both good though. How have I overlooked Viv and Renee in previous books? Were they not mentioned? Or was I too involved with other characters to notice? I loved Vic, who vowed an oath to protect the family and remain celibate! An impossible situation with the temptation of the family nanny Renee. Perfect writing, as usual, a wonderful story, forbidden romance at its best. Of course there’s a secret, I was completely blown away when it all came out. 50% predicted, 50% blindsided. I did not see that coming. With wonderful characters, I just can’t get enough of the Elite guys, they are hilarious, I mean they have me laughing out loud when they’re in a room together. Love them, and can’t wait for more. David Brenin narrated perfectly. Another great addition to the Eagle Elite series. Vic was a tortured dark soul who found love in the stare of Renee. Beautiful story - RVD has done it again!